What exactly, is a Payment Service Provider? PSP, using Software as a Service model accepts electronic payments by a multitude of payment methods. Some of the common ones are, credit cards and the bank based transfer in the form debit card payments, NET banking and so on… In layman’s language these payment service providers offer a payment gateway proposing the web shops to accept electronic payments. As a % of the each transaction conducted. A fixed price transaction rate. This is the very fundamental and basic need to those having a desire to own an exclusive payment gateway solution. There is a tough competition between Build vs. Buy. Do you want to license some already existing gateway or build some in-house software? For building, you may need a team of professionals developing software solutions, buying connectors and integration of the system with the existing range of products. When it comes to licensing the gateways, you can either self-host on your web space or use a hosted version. 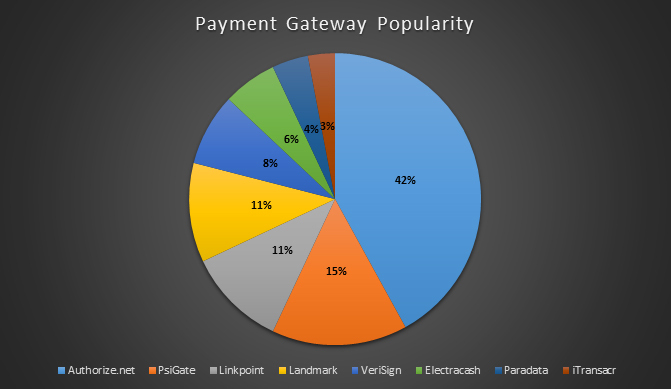 As per the statistics of the recent survey about the popularity of the gateway software, Authorize.net has clearly qualified the race. You can either use a self-hosted server infrastructure or rely on a hosted version of the licensed payment gateway. The self-hosted server infrastructure demands availability of personnel’s for development, regular maintenance of data centers and PCI-auditing annually. Whereas, relying on PCI compliant previously hosted version works similar to self-hosted server infrastructure, except the fact there is no need to hire network engineers and regular maintenance of data centers. Furthermore, the standards opted by you shall be compliant with the security standards of the Payment Card Industry. Being compliant with PCI standards means, you store, process and transmit the card information in secure and encrypted way. The PCI standards are applicable of all the merchant service provider, irrespective of the size or transactions. The Compliance is given level 1 to 4 depending on the transaction volume over a 12-month period. Last but not the least comes the selection of banks, which of them will be authorizing the transactions. The best part of licensed payment gateways is that they come along with the package of some integrated banks for processing transactions.